I pumped 51 hours into my first Mass Effect playthrough. I explored the galaxy. I rescued hostages. I brought down Cerberus’ horrific experiments. I saved all sentient life from the Reaper vanguard, Sovereign. I swear to god 30 of those hours were spent in elevators or the Mako. You start the game at the Citadel, the interstellar hub of politics and trade. The Citadel has about 225 kilometers (140 miles) of habitable surface area and those damn elevators make you feel every meter of it. You get the idea… sometimes for a full minute while the game loaded your destination. If you left the Citadel and explored one of the galaxy’s many planets, you weren’t much better off. Standard Alliance protocol seems to demand your Mako insert anywhere but near your destination, requiring long drives over or around often impenetrable terrain. Add technology to salvage or minerals to survey, and it would not be unusual to spend 15 minutes just driving around each of the roughly 30 planet one can explore. I finished my second playthrough in 33 hours. Knowing what I was doing minimized elevator and Mako time to the point where it didn’t seem quite the imposition it did the first time. That, however, doesn’t make my first experience any better. Then again, I’m sure an apology is necessary. As tedious as all that crap was, it was directly responsible for hooking me. 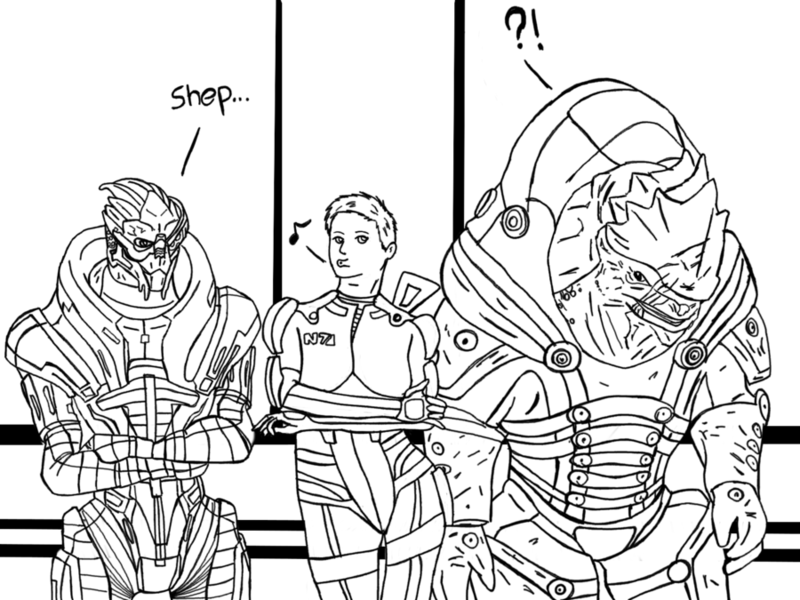 The greatest thing about Mass Effect is its size. The game is huge. The universe is huge. The backstory is huge. Everything about the game, the series, and the universe is almost unprecedented in its scale. For example, here’s the information on Sybin, one of scores of planets with which you can’t interact in any meaningful fashion. It just is. And because it is, they want to tell you all about it. A small rock and ice planet, Sybin has an extremely thin atmosphere of hydrogen sulfide and ethane. Its frozen surface is mainly composed of magnesium and silicates with deposits of iron. Sybin’s crust contains significant deposits of green serpentine, a mineral formed by volcanic activity. This suggests Sybin was a more geologically active world in the distant past. And here’s the game’s entry on Asari Biology, in case you were interested in a quick skim. Although asari have one gender, they are not asexual. An asari provides two copies of her own genes to her offspring. The second set is altered in a unique process called melding. During melding, an asari consciously attunes her nervous system to her partner’s, sending and receiving electrical impulses directly through the skin. The partner can be another asari, or an alien of either gender. Effectively, the asari and her partner briefly become one unified nervous system. This unique means of reproduction is the reason asari are talented biotics. Their evolved ability to consciously control nerve impulses is very similar to biotic training. Asari believe that their offspring acquire the best qualities of the “father” from the melded genes, but evidence is anecdotal. Asari pass through three climacteric life stages, marked by biochemical and physiological changes. The Maiden stage begins at birth and is marked by the drive to explore and experience. Most young asari are curious and restless. This universe is huge, and the tedious parts of the game help the player understand that. The elevators took forever, but they probably should when you GET TO EXPLORE A 7 BILLION TON SPACE STATION. Driving the Mako across a barren moon was boring as hell, but PLANETS ARE PRETTY BIG, YOU GUYS. 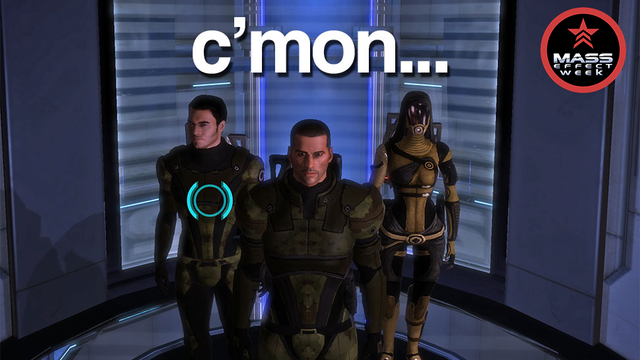 Even before the cinematic spectacle of a Geth dropship plummeting from a tower or the nonstop intensity of Shepard’s mission to Virmire, this is what hooked me the first time I played Mass Effect. This entry was posted in Video Games and tagged Citadel, Elevators, Mako, Mass Effect, Mass Efflections by Rites of Patches. Bookmark the permalink.